We are all different and we all have different taste when it comes to transportation, but there’s one method that we all share—walking. Although walking is a great way to stay in shape, it can also be dangerous. Florida is known for its beautiful weather and outdoor activities. The population in our beloved state is constantly growing which means that there are more and more vehicles and pedestrians on the road. Pedestrians include bicyclists, joggers, walkers, and skaters. According to a 2014 study, one pedestrian is killed every two hours and injured every seven minutes in traffic crashes. 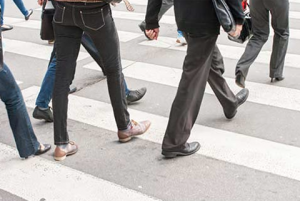 (Traffic Safety Facts: Pedestrians, April 2014) These numbers have increased in recent years. Aside from Negligent and reckless drivers and those driving under the influence of drugs and alcohol, many experts believe that the rise in pedestrian accidents is due to the way our streets are designed. These experts argue that our roads are built to prioritize and facilitate the movement of motor vehicles, therefore compromising the safety of pedestrians. The evidence tends to back that claim. Many streets do not have sidewalks or traffic signs dedicated to pedestrian safety. This means that pedestrians must take extra precaution. Pedestrians must not only look out for motor vehicles; they must also look out for unfavorable roadways. 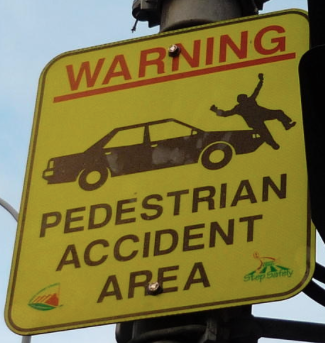 On many occasions, pedestrians become injured through no fault of their own.The unfortunate truth about these types of accidents is that the pedestrian is the one who usually suffers the most damage. The injuries may include bone fractures, spinal cord injuries and brain trauma. Please contact the Law Office Of Shannon J Sagan if you or someone you know has been injured in a pedestrian accident. it is very important that you act quickly. My office will help you collect the evidence, and we will help you file all the necessary paperwork to determine if you can receive fair and adequate compensation for your injuries.